Even by Cornwall standards, the coast from Cape Cornwall (the most westerly point of mainland Britain) and St Ives Bay is particularly dangerous. It was made doubly so by the fact that the high cliffs and headlands along this stretch meant that vessels navigating this coast were unsighted from both the Longships Light and that at Trevose Head. Offshore rocks near the headland known as Pendeen Watch claimed many victims and, towards the end of the 19th century, Trinity House decided to establish a lighthouse and fog signal station at Pendeen. 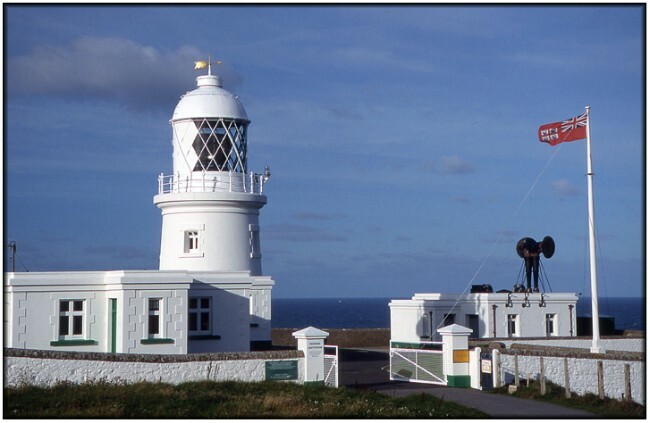 The design of the light was the responsibility of the Trinity House architect Sir Thomas Matthews, the construction was undertaken by the Redruth firm of Arthur Carkeek, and the lantern was built by Chance of Birmingham. Before construction could commence, much work was necessary to level the site and this, in essence, involved removing the entire top of the headland. The height of the cliff here means that a tall tower is unnecessary and, although the rather squat tower is only 56 feet in height, the height of the focal plane is 195 feet. 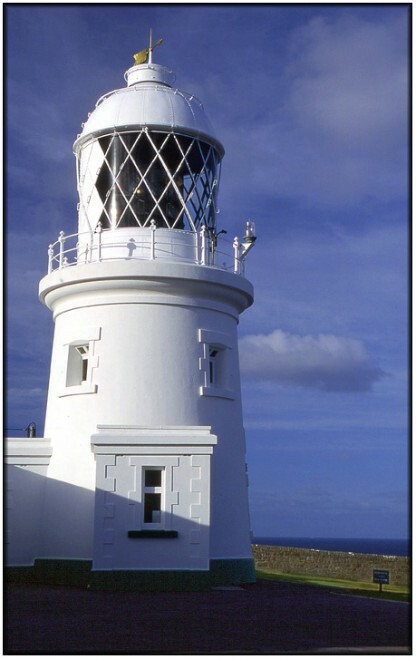 The lighthouse is a major tourist attraction in the area, and some of the keepers' cottages are now available for rent as holiday accommodation. Guided tours of the lighthouse are available every day except Saturday during July and August. Public parking is available close to the lighthouse and the light should be favourable for most of the day. The photograph below shows a wider angle view of the site with the Trinity House Flag prominent in the right of shot.